I really like the new ship design, so why not take a nice, simple layout and make it more complicated. 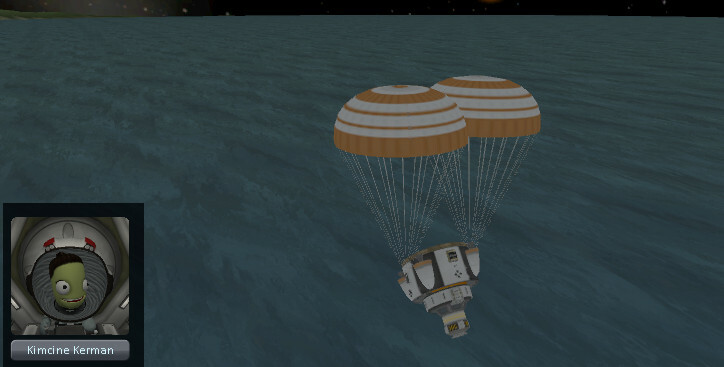 We've added two "rescue pods" to the ship, and hired Ludbart and Josie-jo to fly it up to orbit too. Yes you in back with the funny hat. 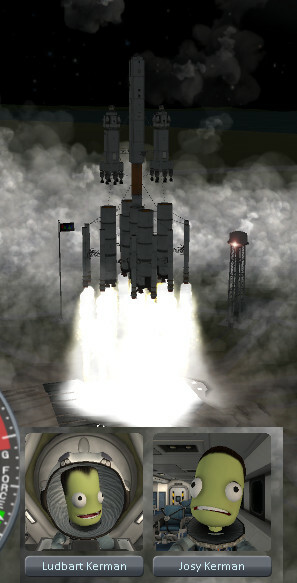 Thanks, Zurgtroyd Kerman from the KSC times. 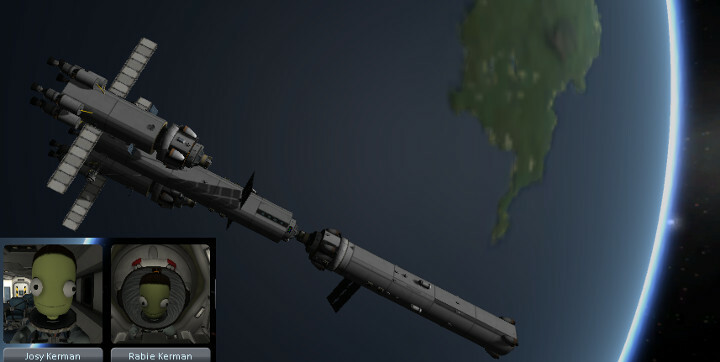 Your new ship seats 17 Kerbals but you only have room in the escape pods for two? Ahh, yes. 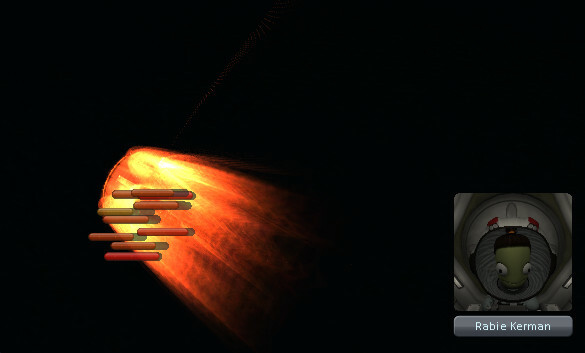 You see simulations show that on average only about 10% of our Kerbalnauts survive... wait, I mean *NO COMMENT*. Anyway, on to refueling. 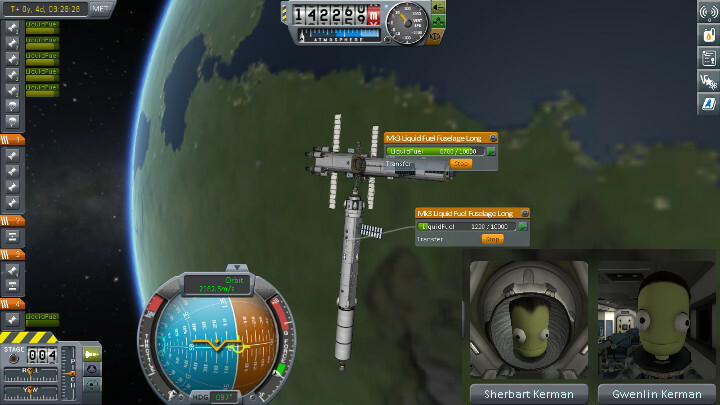 We hired Rabies Kerman here to fly the refueling mission. These never go well and are a big pain. At least she more or less made it to the right place. 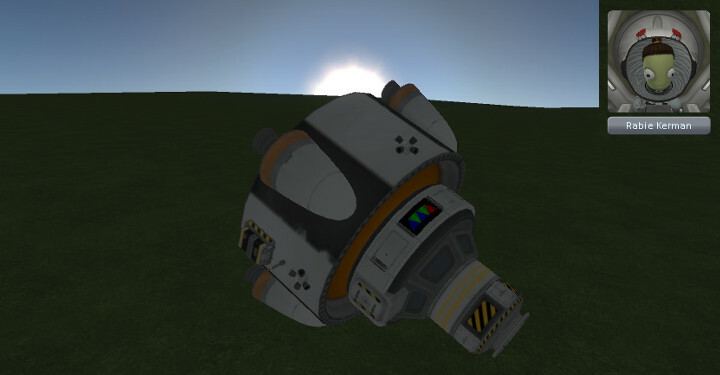 Now to test out the "rescue" pod design. Well, as you can see this didn't really end well. 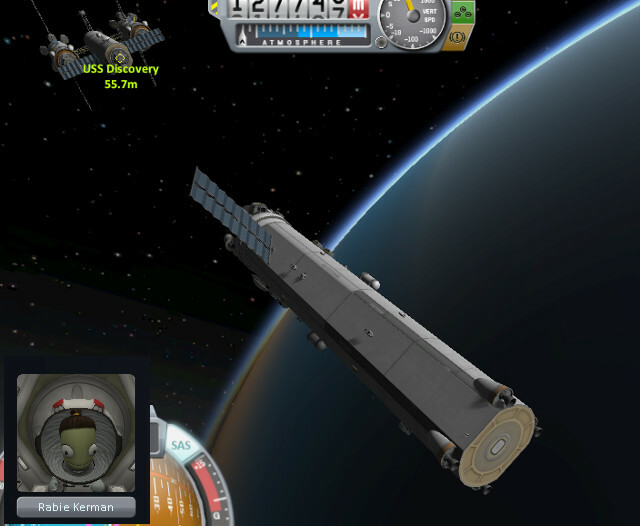 Not really a design problem, as much as I'm not used to the new re-entry parameters in 1.1 and so took her in a bit steep. Sorry! So we hired Kimchee. You'll note none of these are pilots (KSC is out currently for some reason). So really a robot is flying and the scientists/engineers are just along to get some experience. Experiencing the null void as the universe disappears! 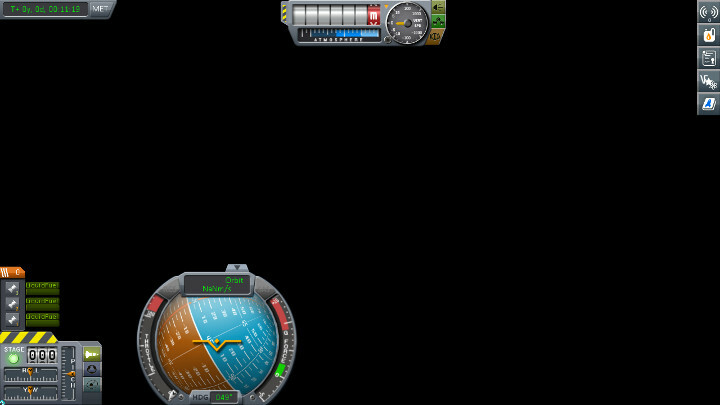 Really don't know what happened here, made the mistake of switching to an abandoned fuel ship that was in the middle of re-entering. Luckily I had a recent quicksave or this would have gone poorly. 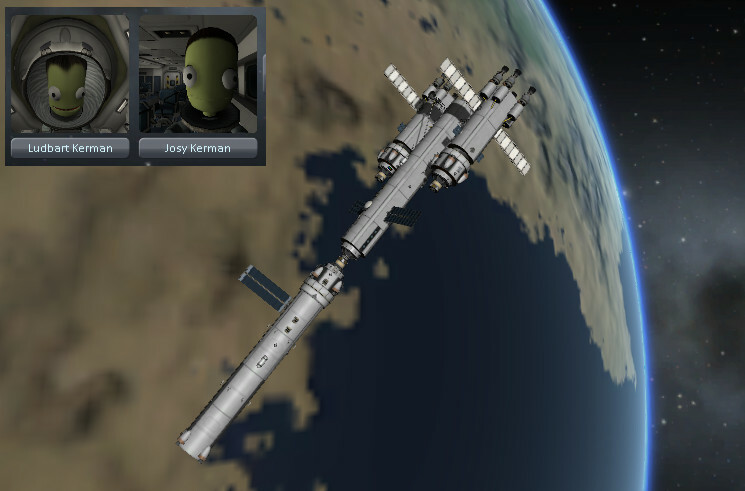 More refueling on the slightly older Jool rescue ship which only has side-ports. Will Kimchee do a better job at landing? The answer is no! Due to poorly placed parachutes she landed nose-first and that did not go well. Yes! Though she pulled a bit of a Corbin maneuver on landing. 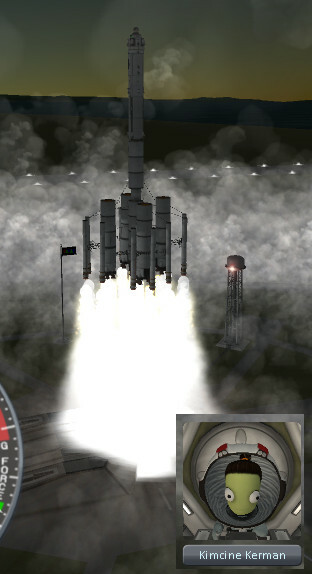 One last refuel, this time staffed by Kimchee's ghost, and I think we are ready to maybe launch some ships (when the window opens of course).